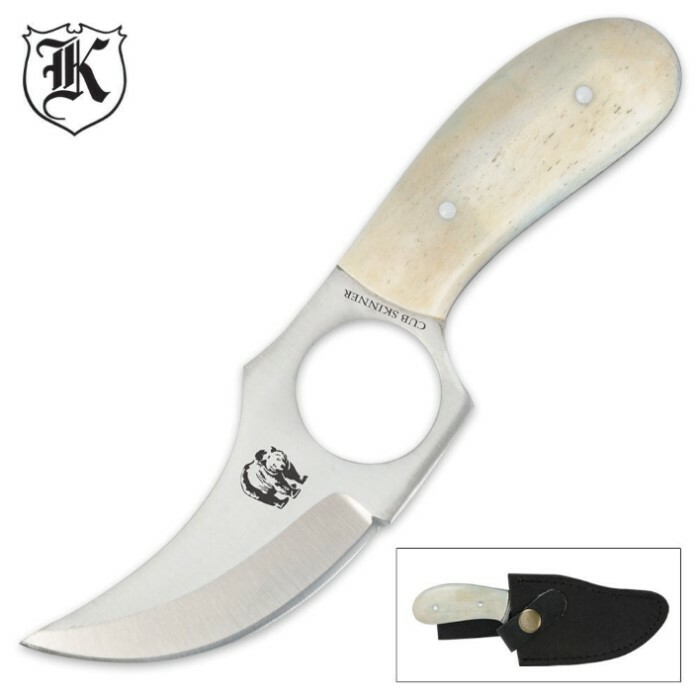 Fixed Blade Genuine Bone Cub Skinner Knife With Sheath | BUDK.com - Knives & Swords At The Lowest Prices! 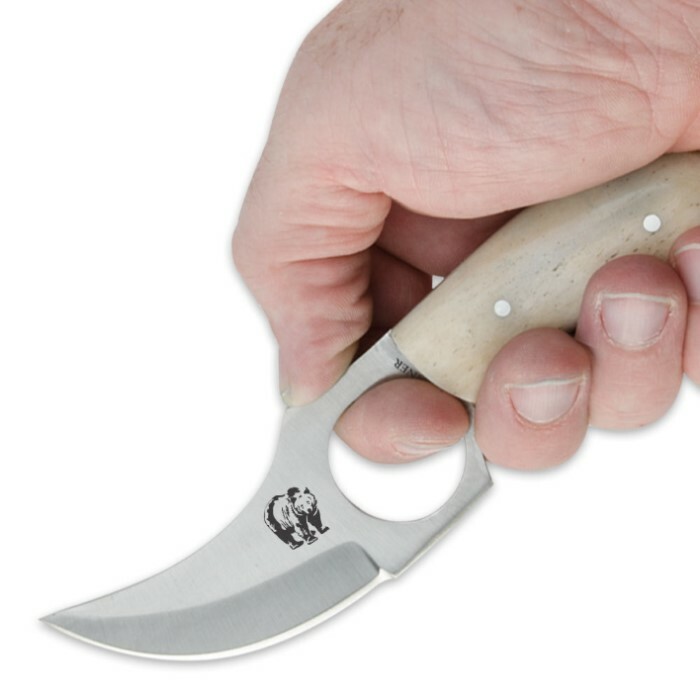 Enjoy top-quality craftsmanship with a custom look and feel at an affordable price in our new fixed-blade Genuine Bone Cub Skinner knife. This handsome skinner knife features full-tang stainless steel construction with a sharp blade. The genuine bone handle is polished to a smooth finish with handsome stainless accent pins, lending just the right amount of elegance. 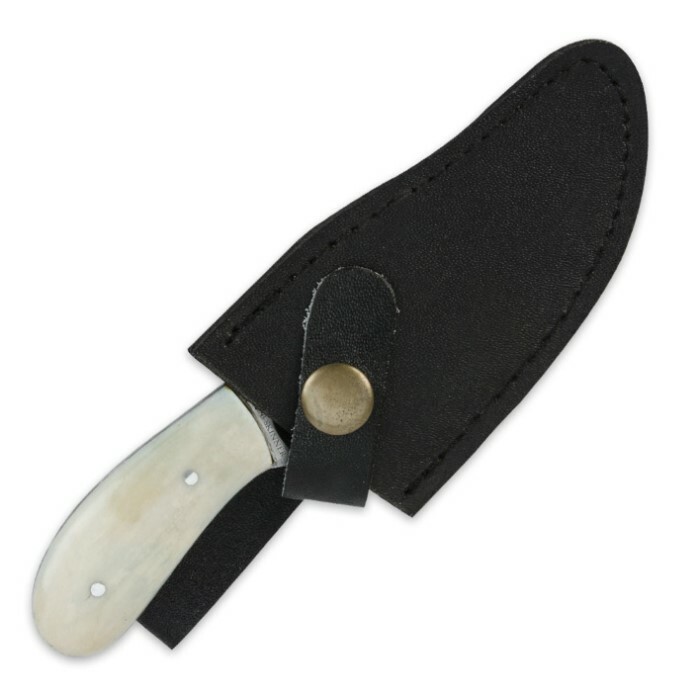 Store and carry it in the leather sheath. Got mine today. Not well finished. Full tanged but burrs on the handle that need to be sanded down. Blade is dull and tip not very sharp. Sheath Is functional.